Dr. Kathio Welcomes Pakistan Delegates to United Nations Meeting. Hon. Consul General Dr.Kathio welcomed the High Pakistan Delegate on behalf of Pakistan community in Philadelphia.Delegates were here on United Nations meeting. 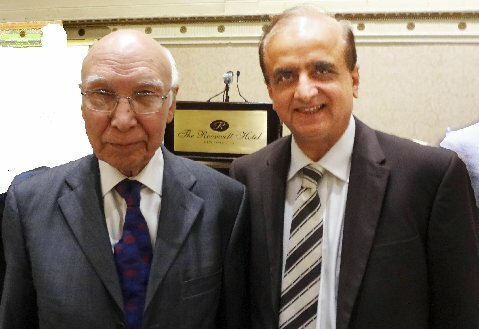 Federal Minster Asif Khuaja,Sartaj Aziz ,Tariq Fatmi and Foreign Secretary Jalil Abass Jilani extended full support to Pakistan community through Pakistan's Consulate in Philadelphia.